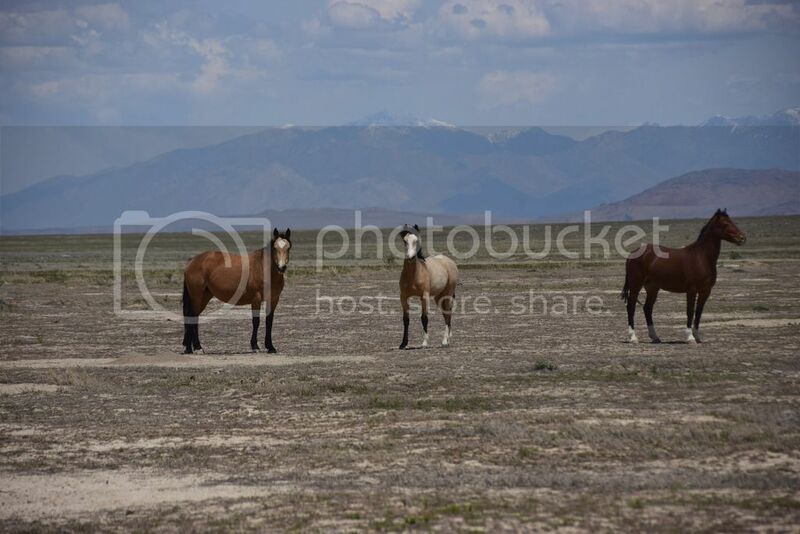 We were driving the two track roads looking for mustangs, glassing the country hoping to find those elusive suckers, when I couldn't believe my eyes. 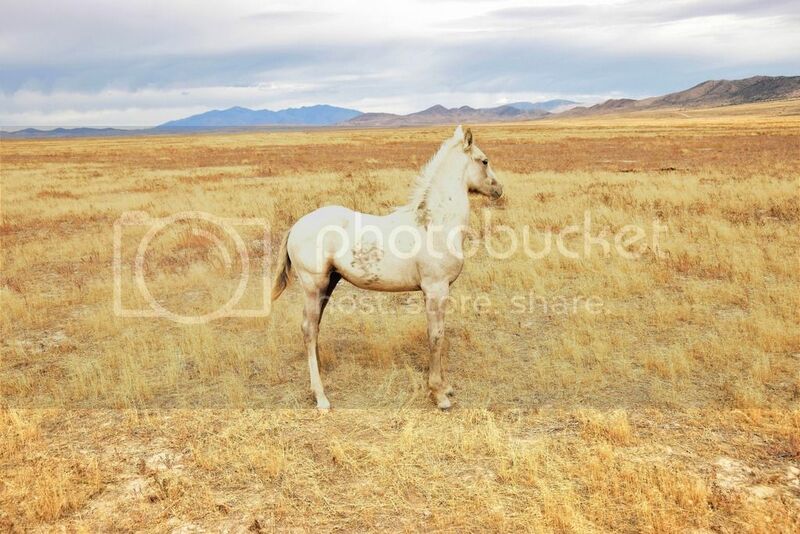 This buckskin mare has been AWOL for about three years. I thought she was dead. My heart did about three back flips. I sure was happy she was still around. 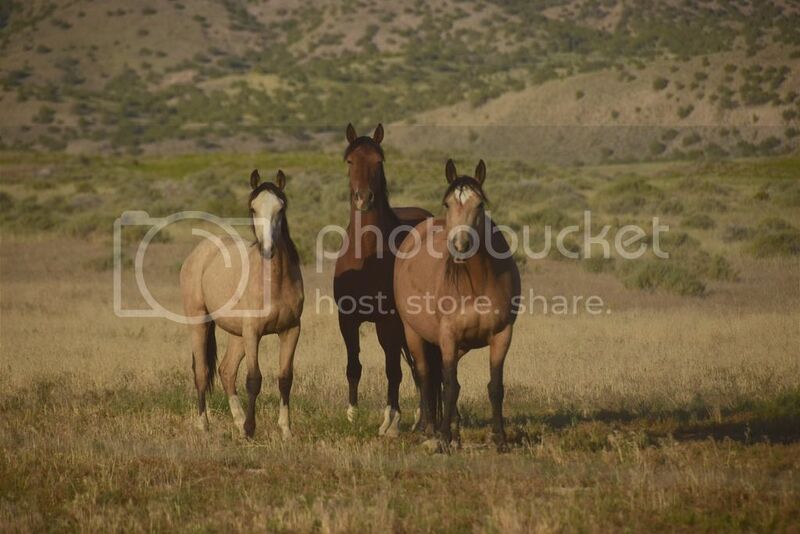 Now she has a two year old colt. Pretty little sucker. I was really excited to see her again in June. Maybe she will decide to stick around. 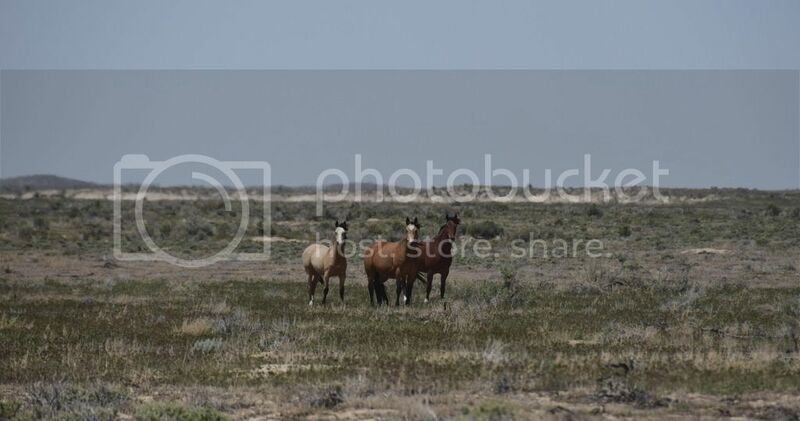 The Buckskin looks like she is about to pop. I couldn't find her for a while and wondered if she had left the country. With water being so scarce I couldn't figure out where she was hanging out. 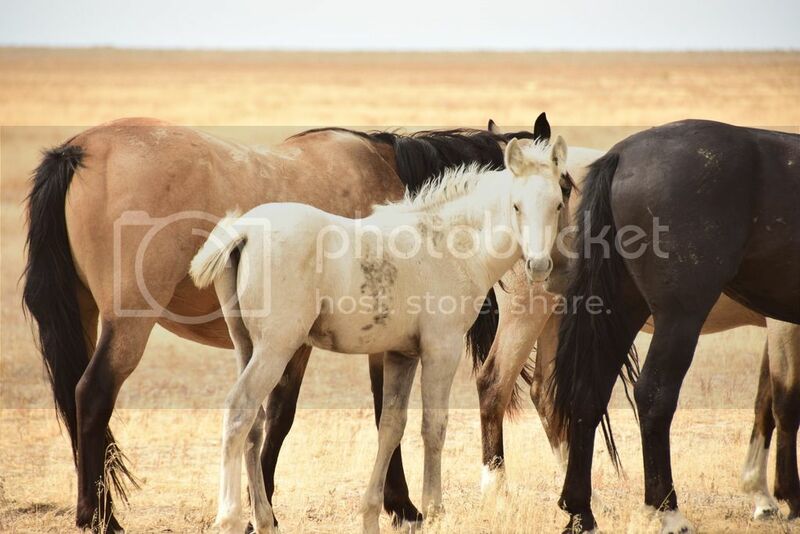 I can tell that her colt hasn't been around people, he really got nervous when I started getting close them. 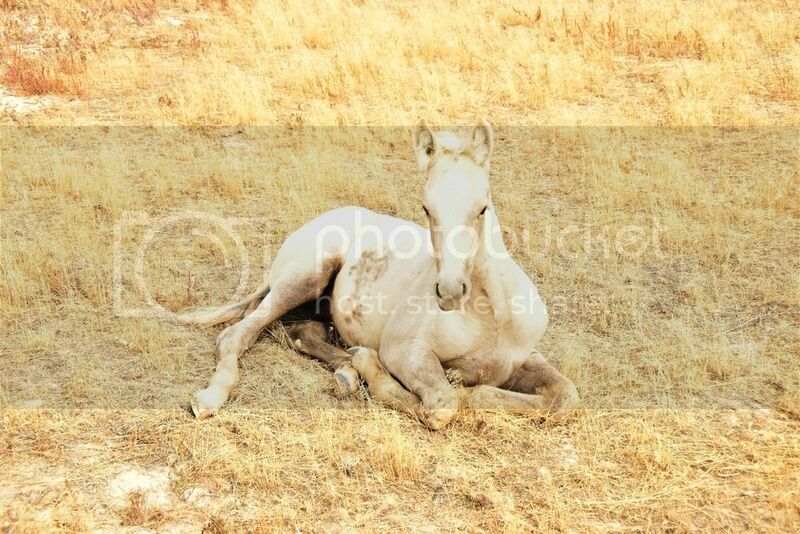 I found this asleep about a hundred yards from the Buckskin. I thought it was dead for sure. I walked wright up on it before it finally opened its eyes. That sure was a relief. 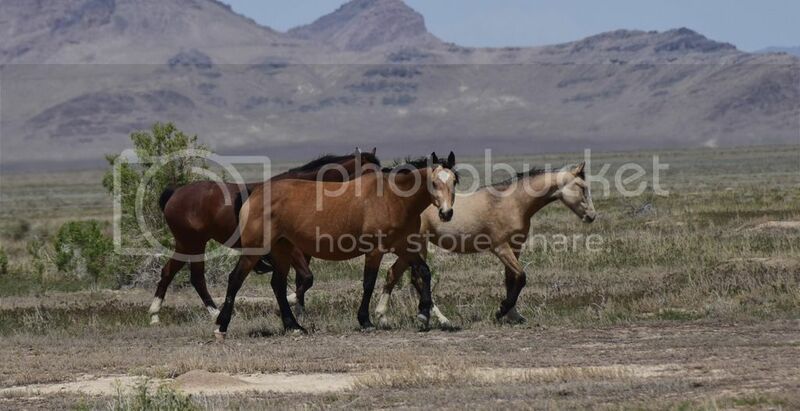 The Buckskin has been busy, now she has two colts. If I ever get to talk to her, she has a lot of explaining to do. One thing for sure, she sure likes to he off by herself, just the four of them. I saw her only once sense last summer. 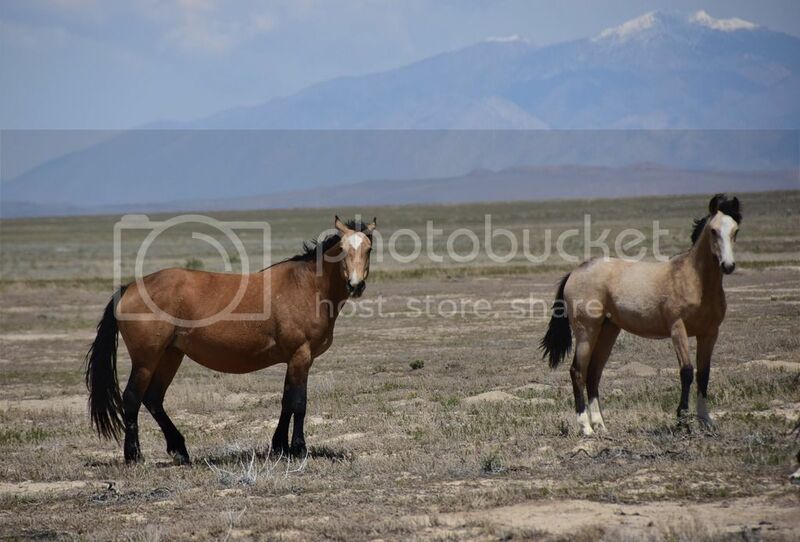 She was about two miles away, no other mustangs within five miles. Not that I know anything much about horses, but that lil white sucker looks like it's gonna gain some height before it's done growing. How old would it be in those pictures? 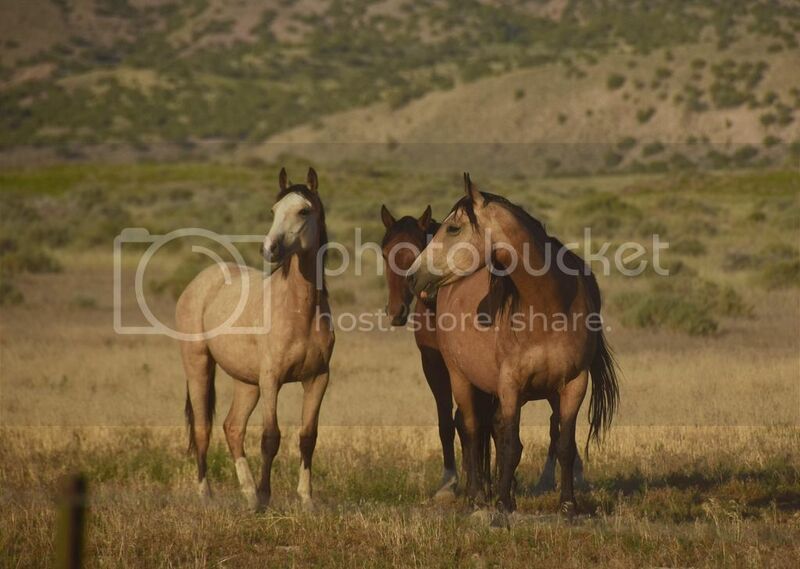 Man those are some good-looking horses. burnt wrote: Not that I know anything much about horses, but that lil white sucker looks like it's gonna gain some height before it's done growing. How old would it be in those pictures? 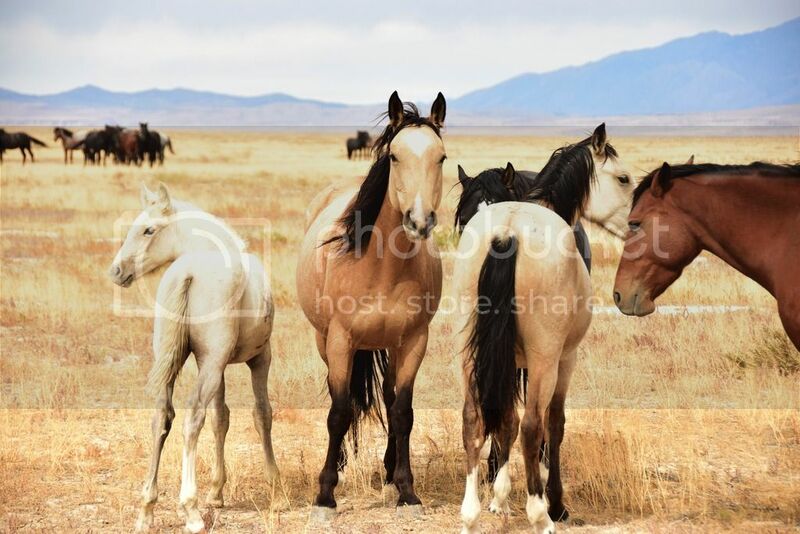 Man those are some good-looking horses. 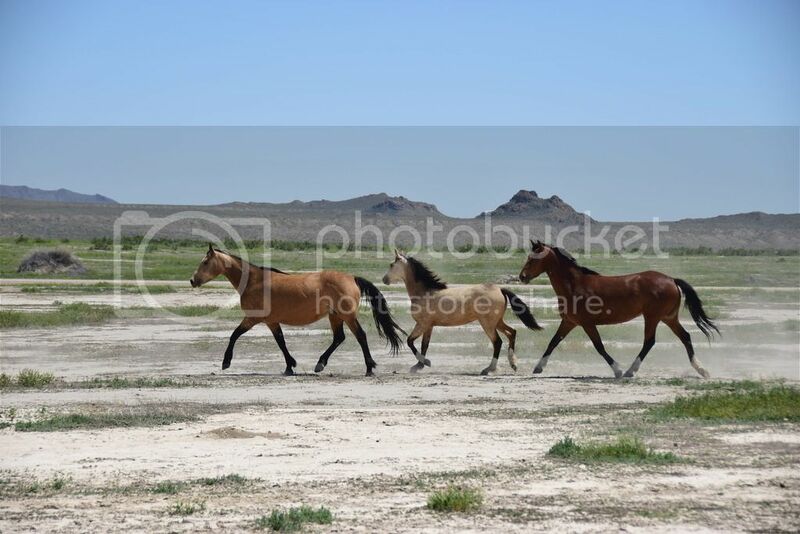 According to my pictures, she didn't have the colt with her on the 21st of June, but did the 31st of September. Amazing how breedy some of them look. And the colors in those bands, purebred breeders strive for colors like those. Glad you found your long-lost friend.